12th novel/novella in the Dark/Carpathian series, and one of my favorites! I like the creativity of the storyline- the who, what, where of Corrine and their challenges. I generally like "earthy" ;;)) stories, but it's nice to include storylines not quite so "earthy". It gives Feehan's creativity the opportunity to shine. 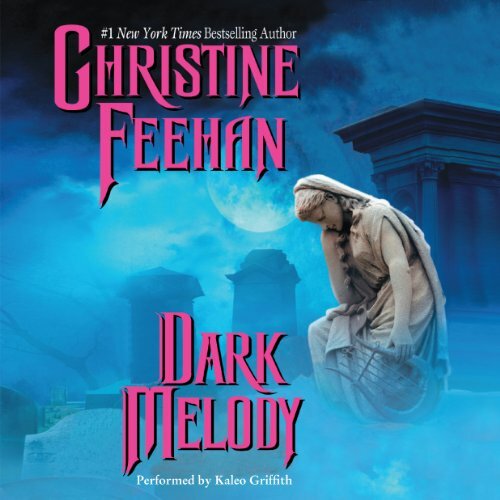 Would you consider the audio edition of Dark Melody to be better than the print version? when I need to get away from reality I love turning to my books. Christine has given us another brilliant story full of adventure, love, and romance. Little repetitive, but a better narrator than the last book. Even with bad narrators, it's a good series. I like when they crossover to the other families. The tracks were not joined together well and the narrator was messing up pronunciations and names. I stuck it out for the story, which was very moving. The narrator fit Dayan perfectly! I liked the book but loved the audiobook! This is the 12th book in the Carpathian series. The story really digs in and grips you. I kept thinking there was no way for her to be saved. great ending!